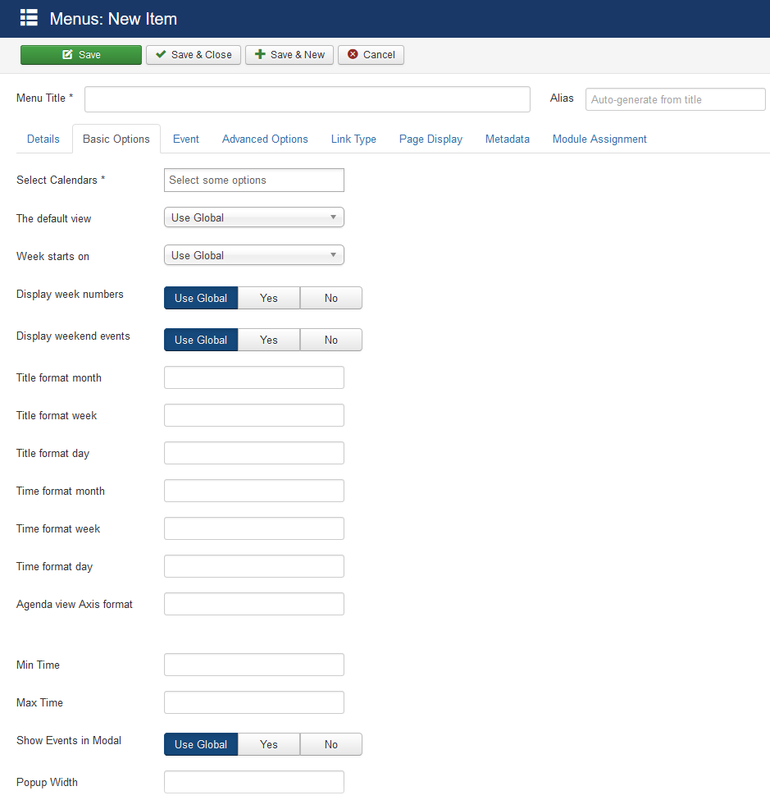 The Documentation Page provide you with all informations for about our Joomla extensions. Please select one of the below categories to browse the right extension. 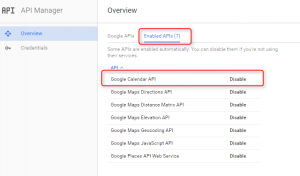 This will allow you to use the Google-Maps within the Event details view otherwise you will receive an error message, cause Google has deactivate the public usage of Maps without a valid API-Key. The API-Key could be easily set within the component global settings in the Maps Tab (see screenshot below). Within the Easy GCalendar settings you could switch between different frontend Frameworks that is quite useful if you use as example a template that is based on Bootstrap 3. 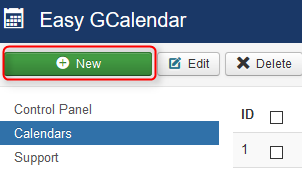 With version 1.2.0 Easy Calendar we have added the support of a new filter option for the calendar. 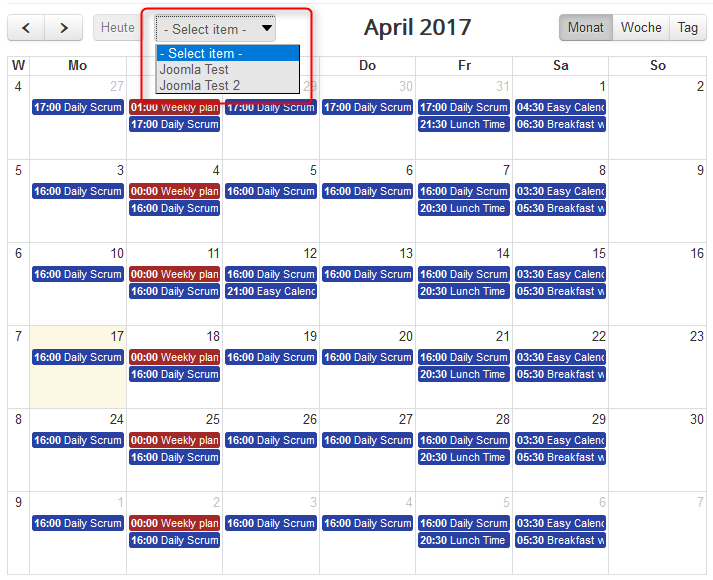 This filter give you the possibility to select between the selected calendars from the backend and will than only display selected calendar events. 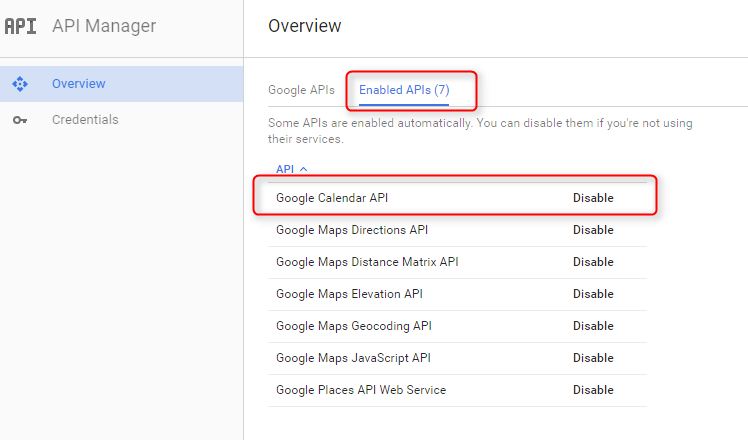 To enable the required Google API functionality for to the Google Calendar please follow the instruction below. First of all, it must logon in with an existing account to https://console.developers.google.com or create a new one. After successful login, you will see the API Manager – Dashboard her you could find a quick overview of usage statistics and a list of all enabled API’s for your account. To enabled a new API please click on “Enabled API” you could than search for Calendar API and add it to your list of enabled APIs. 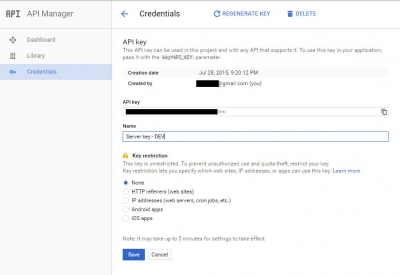 After you’ve added the Google Calendar API you also need to add credentials for it. 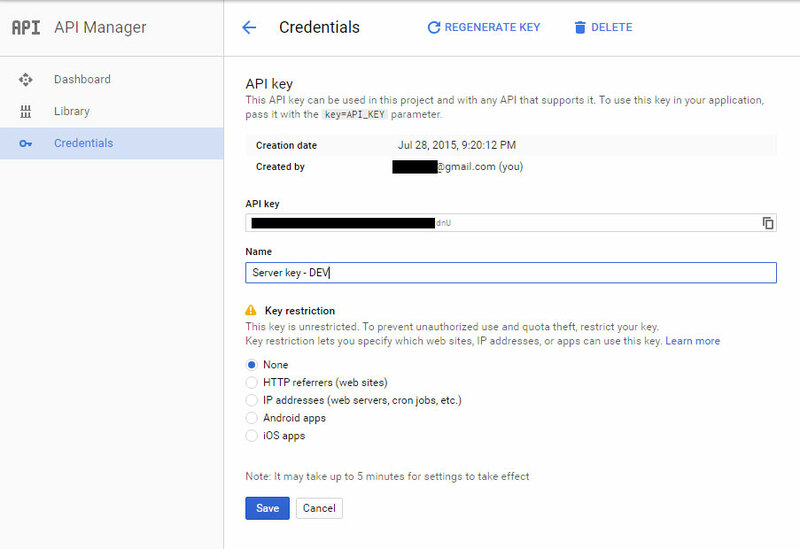 Please navigate to the Credentials Overview within the API Manager you should than find your now key there. 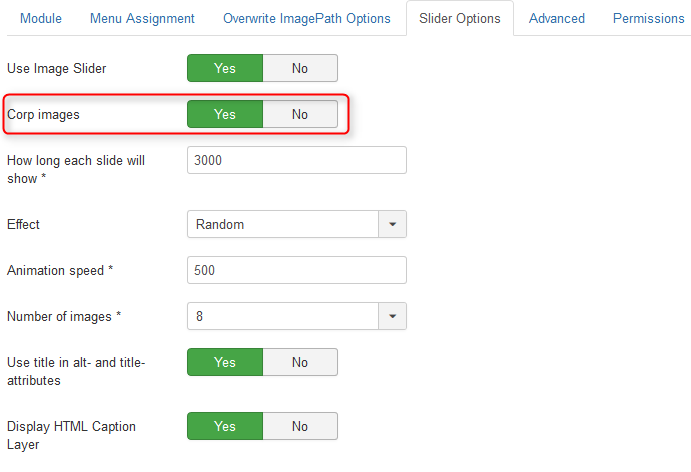 If you do not yet have a Credentials, you must create a new entry via “Create credantials” DropDown chose “API Key” a new Key will be automatically generated we will then continue with with Restricting the Key to prevent unauthorized use. Within the Credentials Details you could set a Name for management purposes but much more important you could give the key a restriction. For the usage with Easy GCcalendar you could chose IP addresses cause the communication of the component with the api will be handeld in the background from server to server. If you like to use a calendar that has events that should not display any details like title, description or location cause of privacy restrictions you could do this by enabling the relevant setting within the Google calendar event settings. The displayed text could be customized within the translations. Easy GCalendar use Google Calendar to display events from a public calendar. In some cases it might be useful to double-check if you could reach the API from your System / Browser, keep also in mind that the access of the API is maybe restricted e.g. to a specific IP-Address. 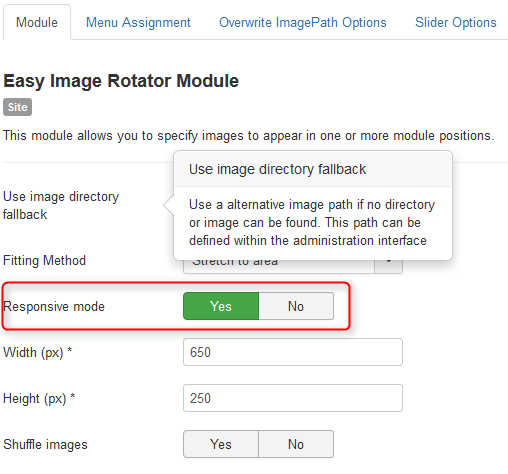 Check the Google API Manager settings to get an overview of all enabled APIs. Ensure that the Calendar API is enabled. 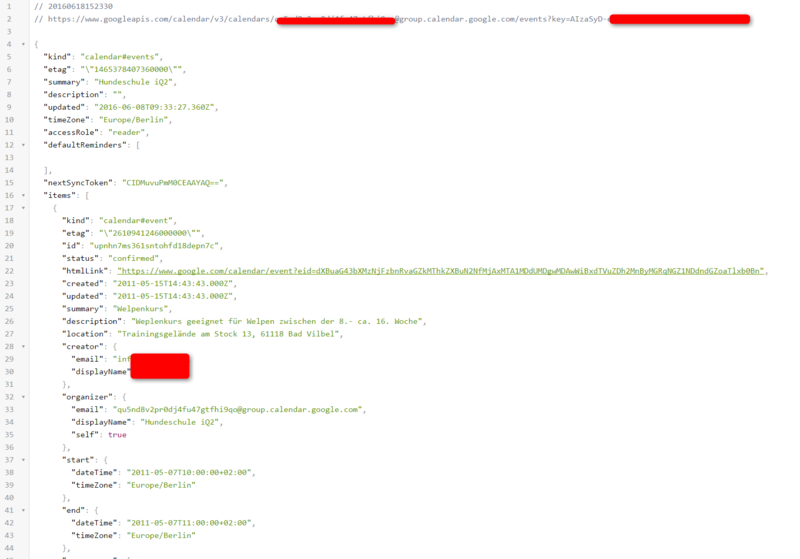 Replace [YourCalendarId] with your Calendar ID from Google Calendar and the [KEY] with your Google Developer API Key (Double-check if there are any access restrictions for this key). 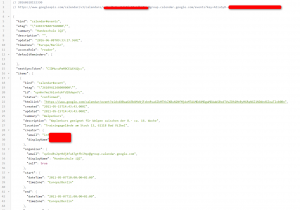 Sample Google API call JSON response for the calendar. Easy GCalendar use Google Calendar to display events from a public calendar. 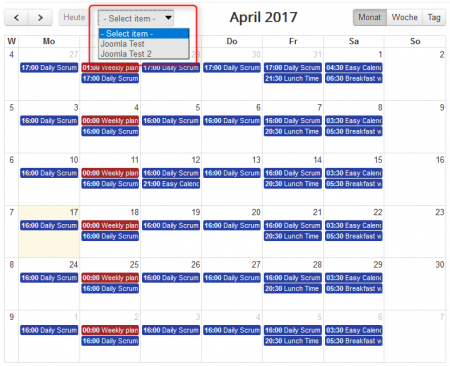 Google Calendar can serve as a backend that manages and persistently stores event data. Go to the Google Developer Console and create a new project. In the “Credentials” section, click Add Credentials > API key. If you know what domains or IP-Addresses will host your calendar, enter them into the box. Otherwise, leave it blank. You can always change it later. Your new API key will appear in the list of your API keys. In the Google Calendar interface, locate the “My calendars” on the left. Hover over the calendar you would like to use and click the downward arrow. Download the latest version of the Easy GCalendar. 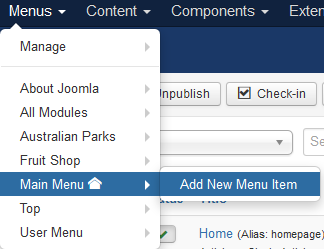 Next, go to your Joomla backend administration area and install it via Extensions -> Install/Uninstall. Now all required extensions of Easy GCalendar are installed. In your Joomla Global Server settings, change the time zone to your timezone. The timezone you set is important to display the calendar items in the right timezone within the calendar. 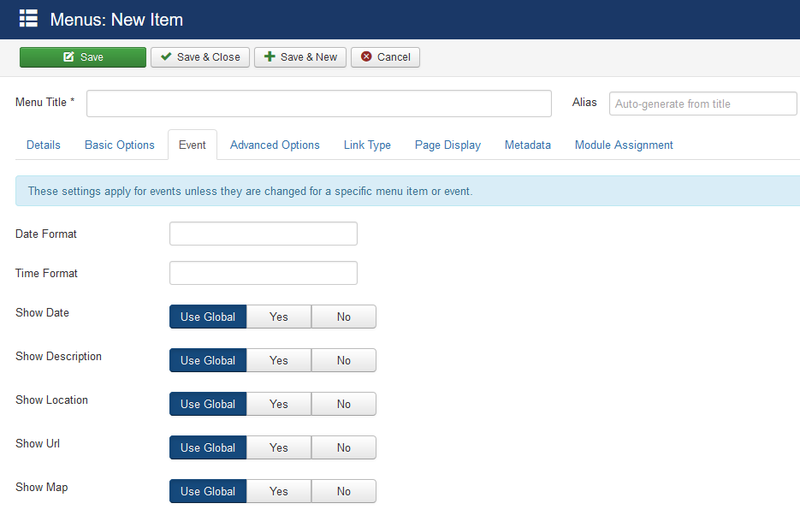 Before we can display results on the Site it is necessary to setup at least 1 or more Goolge Calendar entries within the Administration that could than used later on within the component & modules. 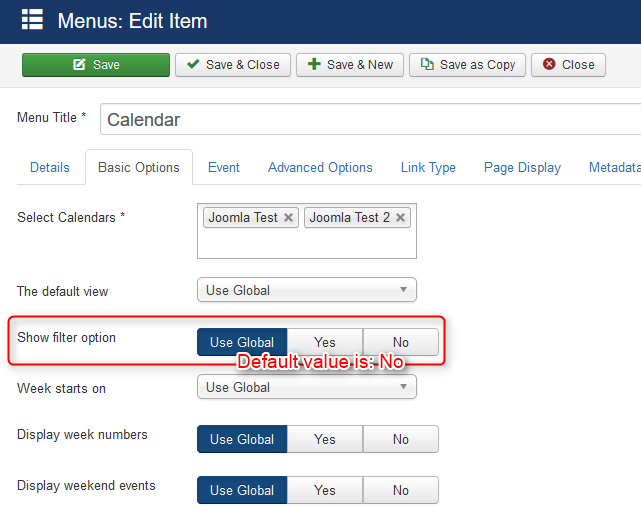 Select “Easy GCalendar > Calendar view” from Menu Item Type selection possibilities. Finally, you should now save the new entry by clicking on the “Save & Close” button! 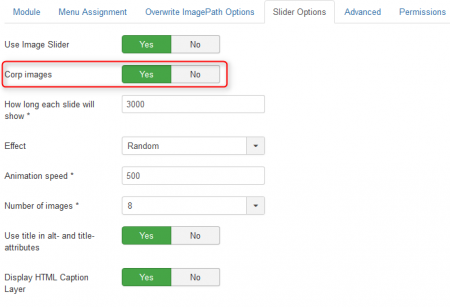 Can I use a URL instead of the directory path? NO this is currently not possible. What is the directory root for images ? How can i install or Update the Extension?